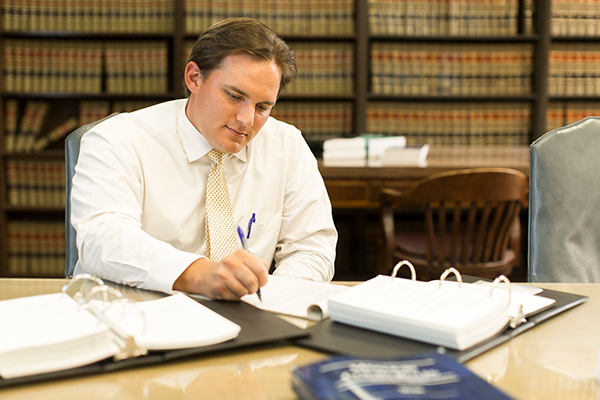 At Bradshaw, Steele, Cochrane, Berens & Billmeyer, L.C., we are your legal advocate in Southeast Missouri. We’ve all experienced challenges in life, but legal problems are often complex and difficult to overcome without an attorney. That’s where we come in. Whatever the situation is, the attorneys at the Bradshaw, Steele firm want to make sure you and your rights are protected. You deserve to have a team of professionals to provide support and guidance. We are lawyers who listen. Whether you’re dealing with a challenging divorce, had an unfortunate accident, or are trying to set up your new business, we will be your advocate. What does that mean? Our guiding philosophy is to be responsive to our clients from start to finish. Remember, you don’t have to figure it out alone. We take pride in being timely, remaining proactive, and listening. We are a full-service law firm. Because of our attorneys’ wide range of skills, we’re able to help our clients with many different areas that require legal counsel. For many of our clients, we are their “one-stop shop.” For example, someone may come to our firm during a divorce but realize they need to create an estate plan. Our wide range of practice areas allow us to represent our clients fully, without the need for more lawyers. Please see a more comprehensive list of our services, and if you have a legal problem that is not listed, contact us to find out how we can help. I’m going through a divorce or have other family issues. I’m an insurance claims adjustor. I’m starting a new business or already have business. I need to create a will or trust to plan for my family’s future. the future for my family. 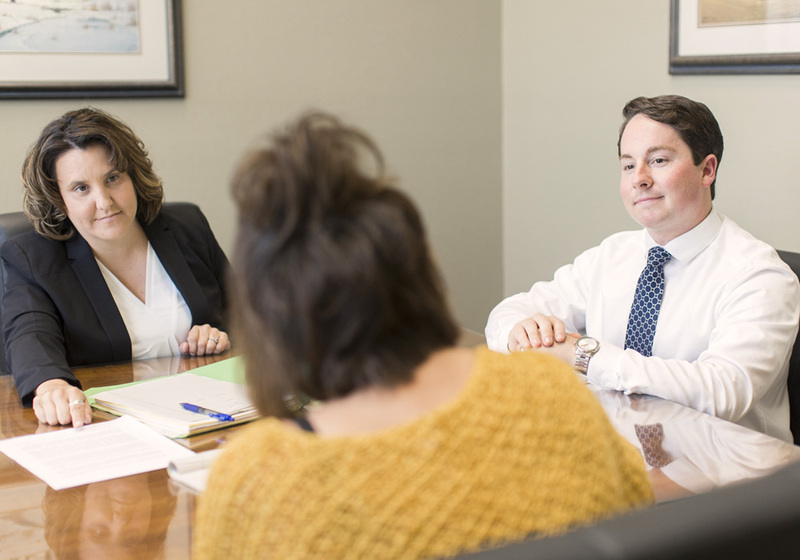 At our firm, we offer our clients something different – a personable approach that you might associate with smaller law offices, but we also have the resources of a larger firm. One of our core tenets is to practice empathy. We understand that legal issues are stressful, so we make it a point to listen and be responsive. Read more about us. Our size and history means you have experience and resources on your side. With 9 attorneys, our knowledge is diverse, we are experienced, and together we can help achieve your goals. Read more about our attorneys. The law is constantly changing, so it’s very important that we have access to the latest cases, statutes, regulations, and secondary sources. Our firm makes a considerable investment in the best research technology solutions. Our clients can feel confident that we are up to date and knowledgeable about current law. Our attorneys all have roots in Southeastern Missouri. Some come from the surrounding towns like Perryville, Scott City, Sikeston, Dexter, Jackson and Poplar Bluff, but we are all proud to be a part of the Cape Girardeau community. I decided to join this firm because a fresh perspective and innovation was encouraged. I have significant resources at my fingertips, extremely knowledgeable peers and partners, and a place where I know can grow and expand my practice. It is the variety of people, personalities and experience that make Bradshaw, Steele uniquely qualified to offer a range of services, both now and as we continue to grow. Bradshaw, Steele, Cochrane, Berens & Billmeyer, L.C. provides professional legal representation to the people of Southeast Missouri and Illinois. The firm is engaged in the general practice of law with emphasis on estate planning, insurance defense, creditors’ rights, family law, workers’ compensation, corporate law, and real estate.